SHIRLEY STEELE creates art to explore ideas about the human mind and its offspring, language and technology. 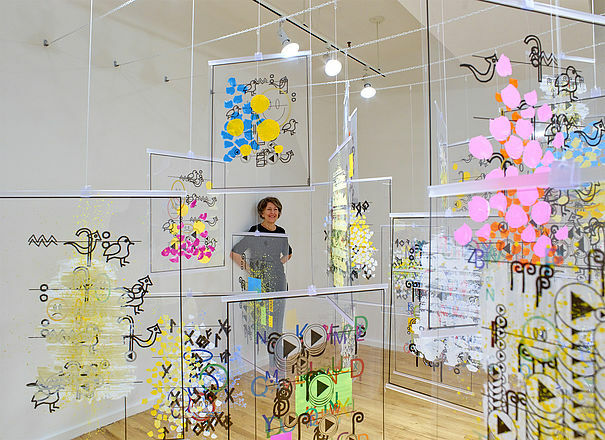 Steele's process involves a creative partnership with technology: animations for which she writes the computer code, images printed from the animations, and painting with traditional media. To see video clips from animations, click here.